Specially priced selection of Battle Ready Swords specifically designed and manufactured for battle use by renaissance faire reenactors, theater and movie actors and actresses. 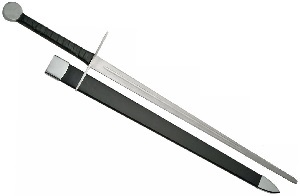 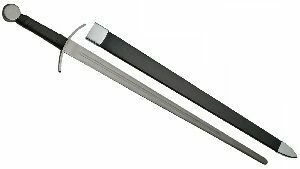 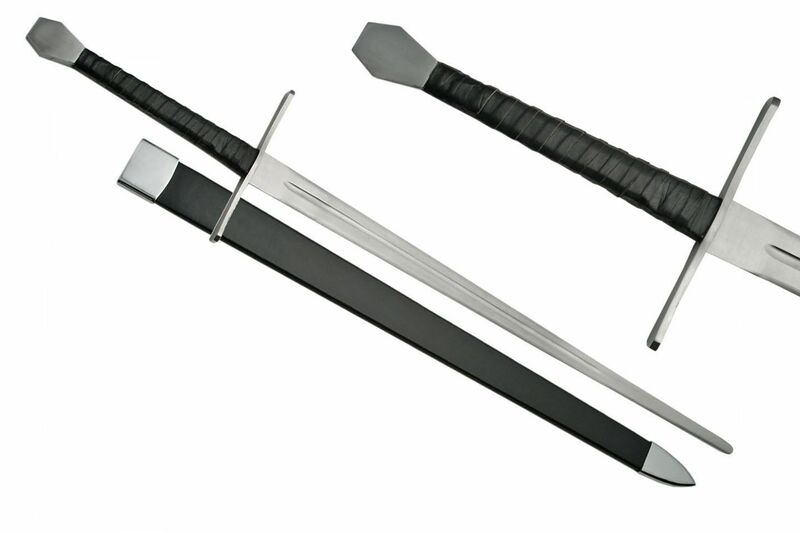 These Battle Ready Swords are strong , well balanced and built to produce that loud metal clanging sound for the audience , as the swords clash in simulated combat. 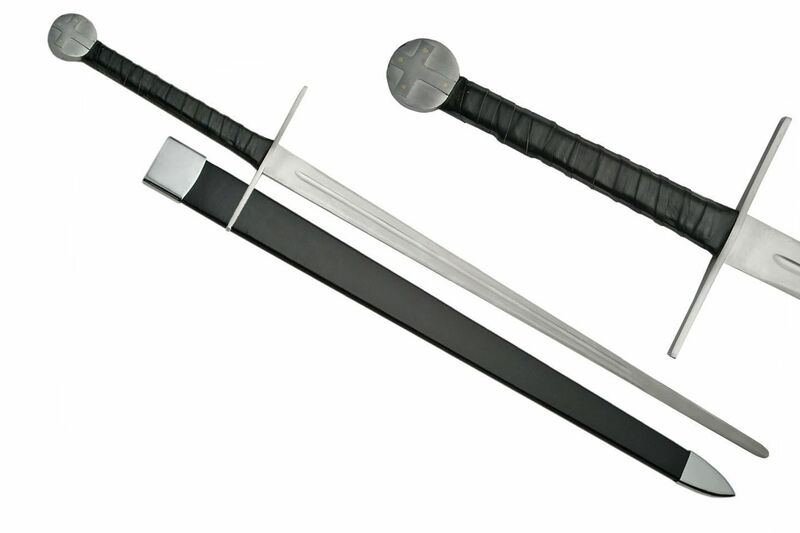 Our Battle Ready Swords come with a full tang. 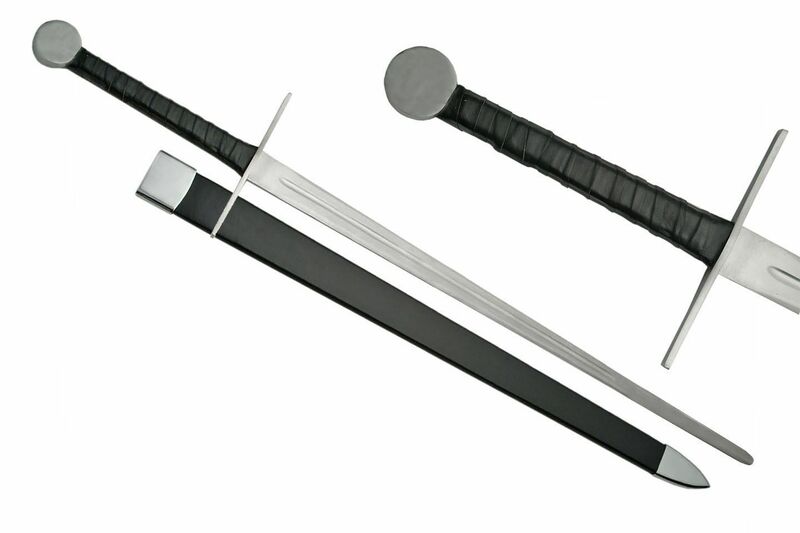 The blade guard and pommel are made of functional battle grade stainless steel. 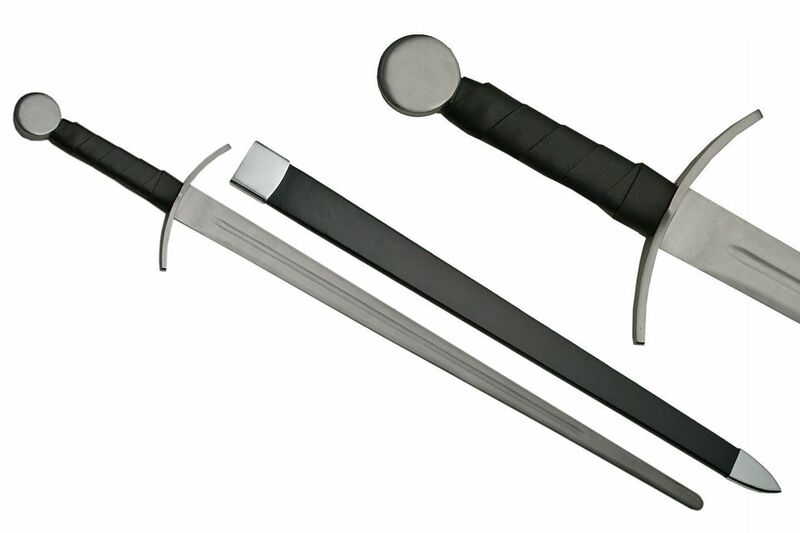 The handle is wrapped in leather that is both adjustable for a custom grip or can be removed and replaced. 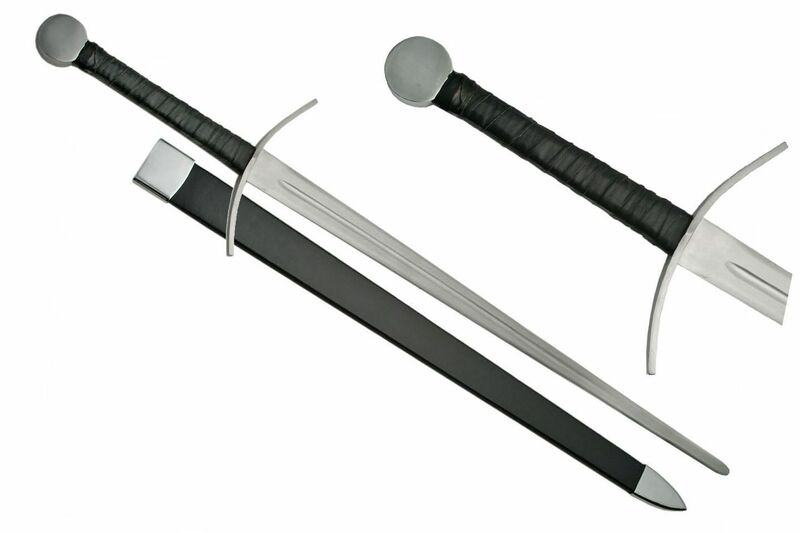 Many reenactors replace the black leather with a color that matches their costume colours. ( it also helps distinguish your sword from the crowd ) The tip of the sword is rounded and the blade sides blunted for safety. Our Battle Ready Swords are built to take a bang and keep on clanging.